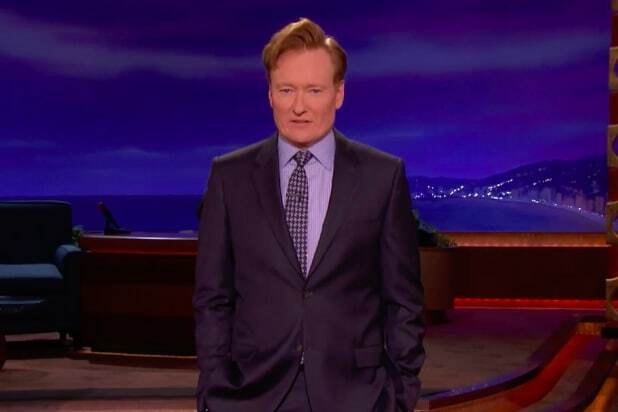 TBS has a set a premiere date for the new 30-minute format of its late-night series with Conan O’Brien. “Conan,” which has been off the air since October, has O’Brien and Turner retool the show into its new format, will make its half-hour debut on Monday, Jan. 22, where it will now air from 11 to 11:30 p.m. ET/PT. The show’s new format will continue to feature celebrity guests and Conan’s “signature brand of comedy,” per TBS. “My three-month absence can only mean one thing – radical cosmetic surgery. Tune in January 22nd for a true freak show,” O’Brien said. TBS decided earlier this year to scale back “Conan” just a year after the longest-tenured late-night host signed a four-year deal to remain with the Turner network. At the time, O’Brien even mentioned that the show would undergo changes to be “leaner, more agile.” TBS contemplated tinkering with the format for more than a year, as the late-night space has become more crowded. In more than 40 years of live television, it's amazing there haven't been more people who have dropped an f-bomb on "Saturday Night Live." How is it that Jimmy Fallon has giggled his way through more sketches than there have been Freudian slips from rookie cast members or famous musicians who just couldn't give a f---. (Oops!) Sam Rockwell is the latest to commit "SNL"'s cardinal sin, but he's hardly the first. This is the reason why musicians aren't in more sketches. Shaffer, then a part of "SNL"'s house band, appeared in a sketch during the show's 100th episode in which he was the first in the show's history to ever drop an f-bomb. It was a medieval-themed sketch in which the word "flogging" was repeated over and over until he accidentally slipped. Lorne Michaels gave him a rightful flogging after the fact, telling him, "You broke down the last barrier." During the show's early '80s rocky period, cast member Charles Rocket gave the show even more trouble. During a sketch parody of the "Dallas" episode "Who Shot J.R.?," Rocket said, "I'd like to know who the f--- did it," prompting astonishment from the cast and guest host Charlene Tilton. Rocket didn't return the following season. Watch the clip here. Prince isn't going to censor himself! During a performance of "Partyup," he sang the exact lyric from his song, "Fightin' war is such a f---in' bore," spitting out the lyric before sliding into a power stance split. The writers were just begging someone to screw up with this one. Guest host Tony Danza brought his thick Brooklyn accent to a sketch called "Da War of Da Woilds," in which the cast repeated the word "fonkin'" over and over until Lovitz was the unlucky one to slip. CORRECTION 1/22: Jon Lovitz clarified to TheWrap via Twitter that despite the sketch's language, he never dropped the f-bomb, and would've been fired if he had. "The censor for SNL, Bill Clotworthy, who was a very nice man, was quite clear on what we couldn’t say. We had to say “fonkin”... no slips allowed," Lovitz said. He added that the sketch was deemed "too risky" and was never allowed to air again. "We're not worthy!" Like Prince, the Aerosmith frontman didn't bother checking his lyrics while performing "Monkey on My Back." Though he managed to stay clean during a guest cameo in a Wayne's World sketch. R.E.M. frontman Michael Stipe at least had the decency to turn his back toward the crowd when he sang his expletive during a performance of "What's the Frequency, Kenneth?" Listen to a recording of their live performance here. You can't stop that flow! The Beastie Boys rapped an f-bomb during their performance of "Sure Shot" back in 1994. Hear the moment at the 2-minute mark here. "My farewell performance. 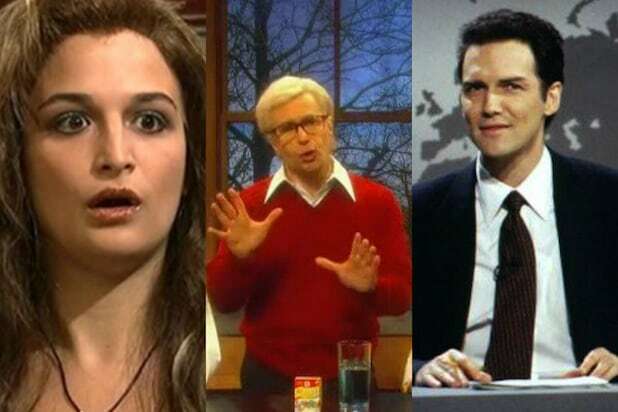 Maybe I'll see you next week, folks," Norm Macdonald joked after he flubbed a line while at the Weekend Update desk. You can hear him say, "What the f--- was that," after stumbling over his reading of a joke. Whatever the joke was, it couldn't have been as funny as his mistake. NBC's censors made it through four wild minutes of System of a Down's f-bomb laden chorus to "B.Y.O.B," dropping out their shouted vocals numerous times during the performance. But the guitarist managed to let out one impromptu, guttural yell of "F--- yeah!" that the censors must've been kicking themselves over missing. In just her first episode as a brand new cast member, Jenny Slate let slip during a sketch with Kirsten Wiig, "You stood up for yourself, and I f---in love you for that." She was let go after just one season, but here's hoping that as her career has grown, the show will one day decide to welcome her back. Watch it here. Kenan Thompson was provoking him, right? Jackson just had to sit there during a sketch of "What Up With That," but he couldn't keep his cool. Watch it here. Kirsten Stewart is just so happy to be here. She went off the cuff during her monologue, speaking sincerely about how she's really not trying to be too cool for school. Watch it here. We'll forgive Sam Rockwell. He just finished starring in "Three Billboards Outside Ebbing, Missouri," which has more profanity than any Oscar contender this year. Plus, he was in a sketch in which he had to get fed up at some difficult kids. He was just committing to the bit! Watch it here.